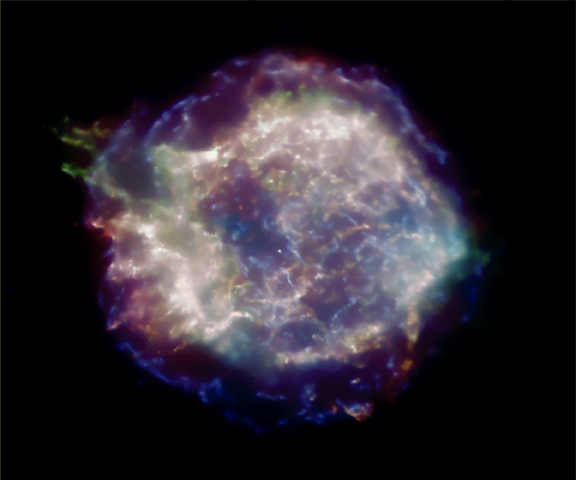 In August of 1999, NASA released an image of Cassiopeia A, a supernova remnant revealed in never-before-seen X-ray detail. 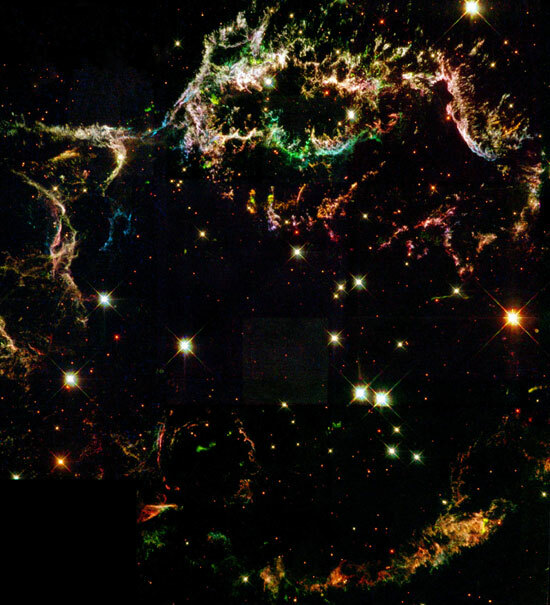 The "Cas A" image, as it has come to be known, shows remarkable structure in the debris of a gigantic stellar explosion, as well as an enigmatic source in the center, which could be a rapidly spinning neutron star or black hole. The Chandra X-ray Observatory image of Cas A ushered in a new era of X-ray astronomy. This image was produced from the archives to celebrate the anniversary of Chandra’s first light. The low, medium, and higher X-ray energies of the Chandra data are shown as red, green, and blue respectively. Coordinates (J2000) RA 23h 23m 26.7s | Dec +58° 49' 03.00"